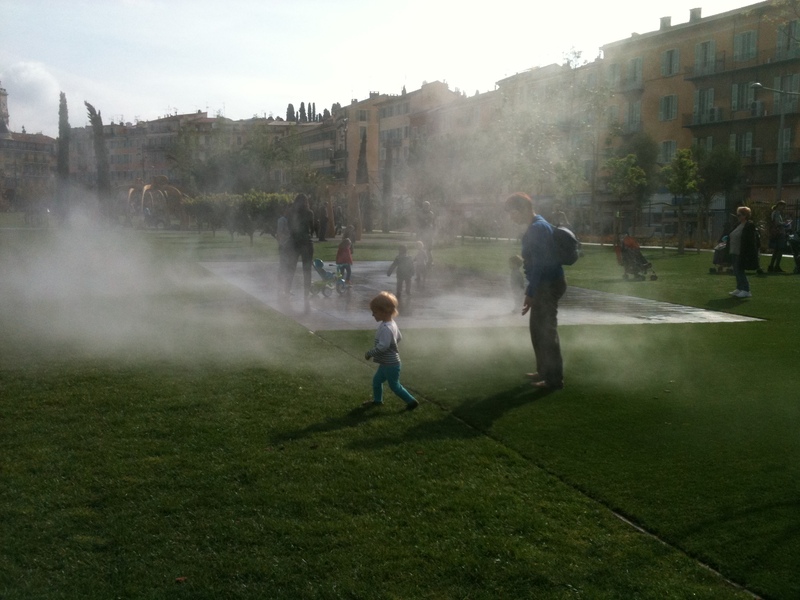 This year in Nice July 14th was different. Many people, including children, were killed or injured by a man who drove his lorry deliberately into the crowds along the Promenade des Anglais where people were gathered following the firework display to celebrate the 14 July. The man was eventually killed by the police. The suffering and grief of those who were injured or lost their loved ones will continue. Our hearts go out to all of them and to the people of Nice at this time. When we were searching for the apartment we eventually bought we stayed in Nice on many occasions and in a large number of holiday rentals. On looking through the various descriptions we kept coming across the words “close to the Alsace-Lorraine Gardens” and we wondered what could be so special about these gardens. Eventually we went to have a look and discovered a friendly oasis on Boulevard Gambetta, which people who live nearby obviously love. There are plenty of benches but many of the locals bring their own folding chairs and book or newspaper to enjoy while they relax in the beautiful surroundings of the gardens. 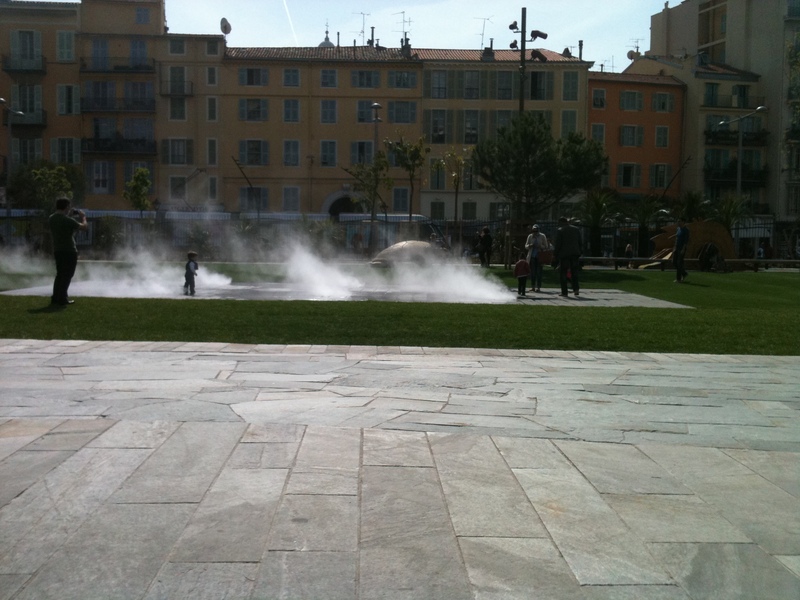 As most of the inhabitants of Nice live in flats and have little outside space the gardens provide a welcome place to meet up and chat with friends or have a rest in the middle of a shopping trip. Some bring their dog (there is a special doggy loo tucked away by one of the entrances) or take their children to the play area. On 3rd August the anual event of La Nuit des Etoiles – or Astronomy Festival – is taking place in various venues across France. 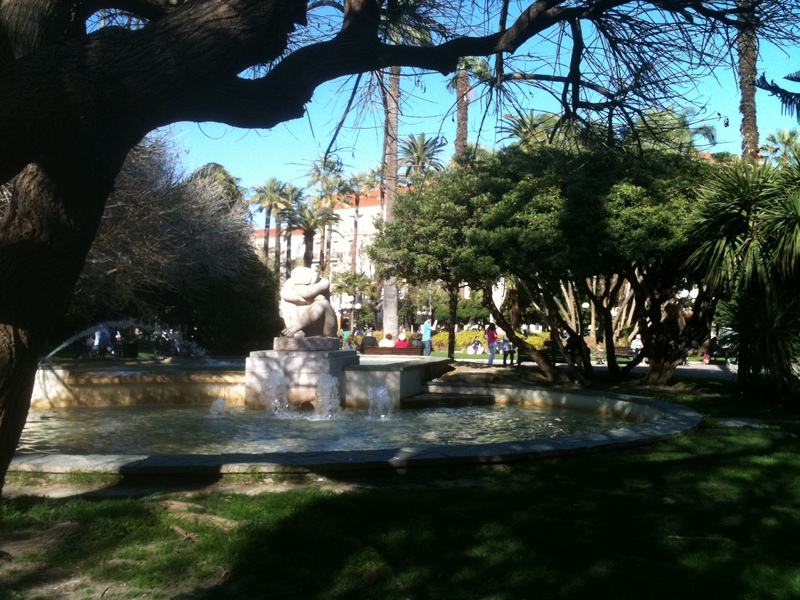 In Nice the location is the beautiful gardens of the Marc Chagall Musée from 6-11pm. This is a free event and astronomers will be on hand to help you locate the planets and constellations. From 6pm you will be able to use the special protective telescopes to view the sun and, once the sun has set, astronomers will help you identify the planets and constellations. What an opportunity and in such a lovely setting! Right now I’m in Brighton in the UK so please share your photos if you go to this lovely event! When I was in Nice recently I spent a lot of time wandering in the beautiful “coulée verte” which the Paillon has become. children and adults alike run into it and disappear for a moment! You come out slightly damper than when you went in – very refreshing on a hot day! I’d love to know if you’ve been there and what you thought of it! 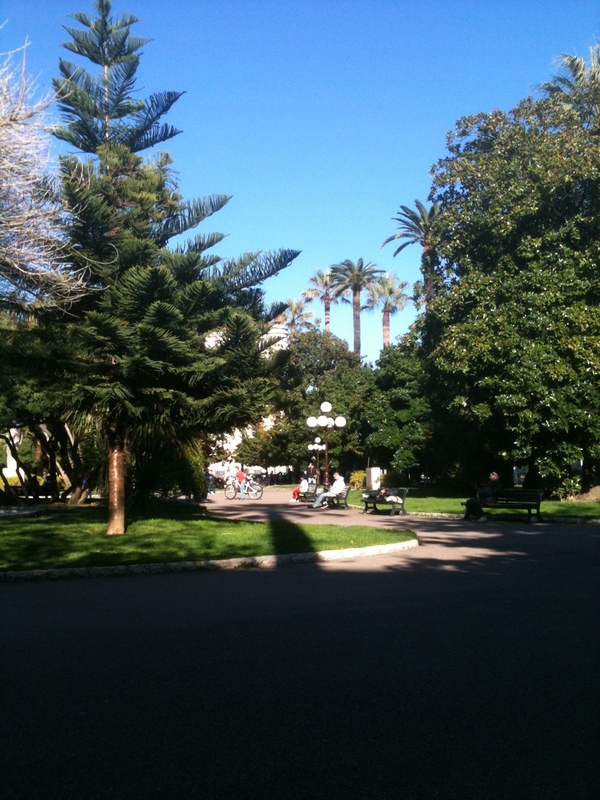 Nice is well known for its excellent transport system. It’s easy and cheap to get around the city by bus or tram. Going east along the coast many people choose the bus as you have the benefit of the wonderful views of the sea and coastline. Travelling west the train can be the best option for speed, yet also travels close to the sea for quite a stretch. The bus station (Gare Routière) was the best place to pick up the ligne d’azur buses which took passengers out of Nice. However in the middle of 2012 plans for the improvement of Nice’s centre began and the ugly but useful building was pulled down amidst much rubble and dust. What would come in its place? 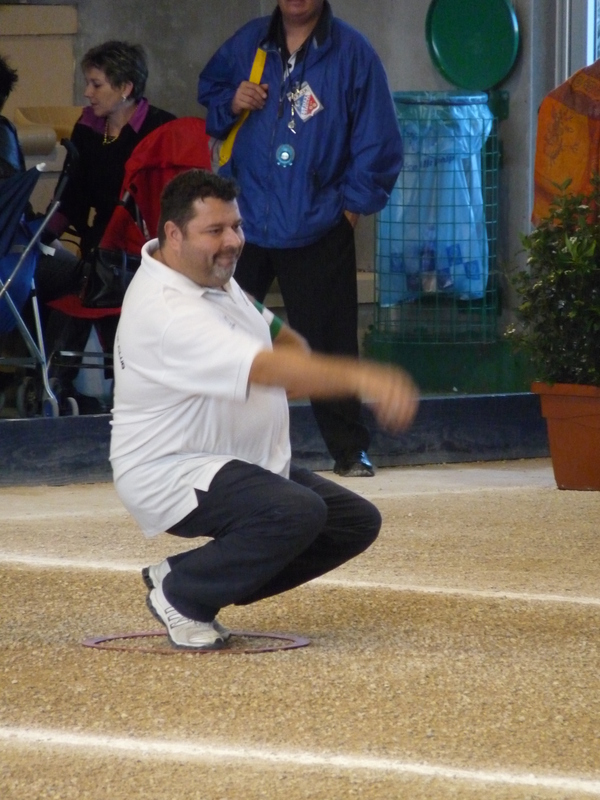 We love playing pétanque and one of our favourite terrains when in Nice is among the olive trees at Cimiez. When in England we play pétanque in Brighton on the terrain at the Peace Statue, the home of Brighton and Hove Pétanque Club. 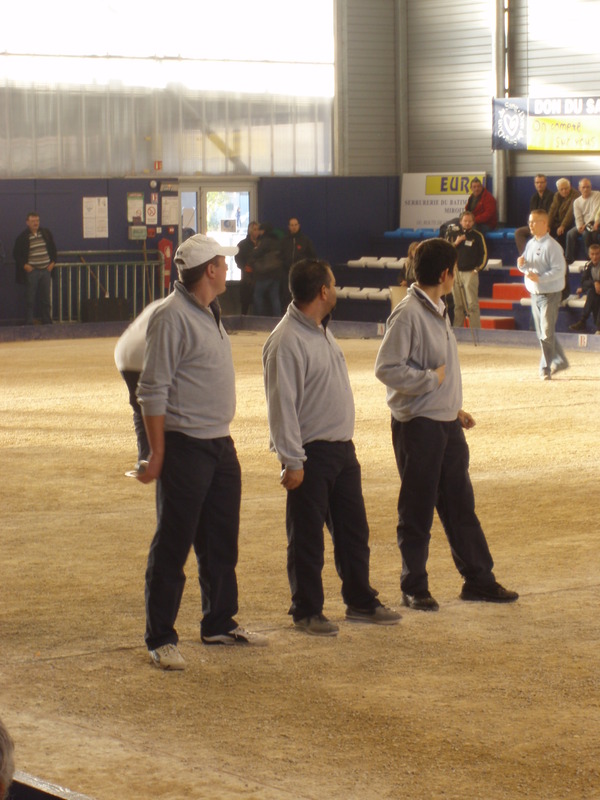 Back in 2009 we were very excited to discover that the final of the major pétanque competition – the Euro Cup for Clubs – was taking place in Nice! Trying to find exactly where it was going to be held needed dedicated detective work as amazingly no-one at the tourist information had heard anything about this major competition. We eventually discovered the venue from the local newspaper, Nice Matin. 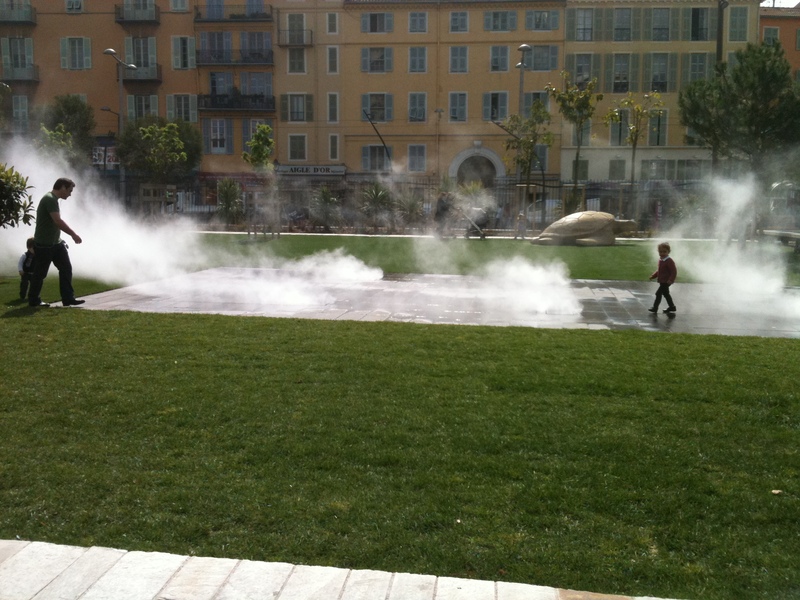 It was to be held in the huge boulodrome near Palais Nikaia on Rue de Grenoble. We found our way there from the city by bus. Fortunately the bus-stop was fairly close to the boulodrome – unfortunately in December 2009 it absolutely poured down so we arrived dripping wet – being English we were used to this, so no problem. Naturally we supported le Duc from Nice and were very excited to see Philippe Quantais, Philippe Suchaud, Henri Lacroix, Pascal Milei and Simon Cortes playing – and winning the championship too! 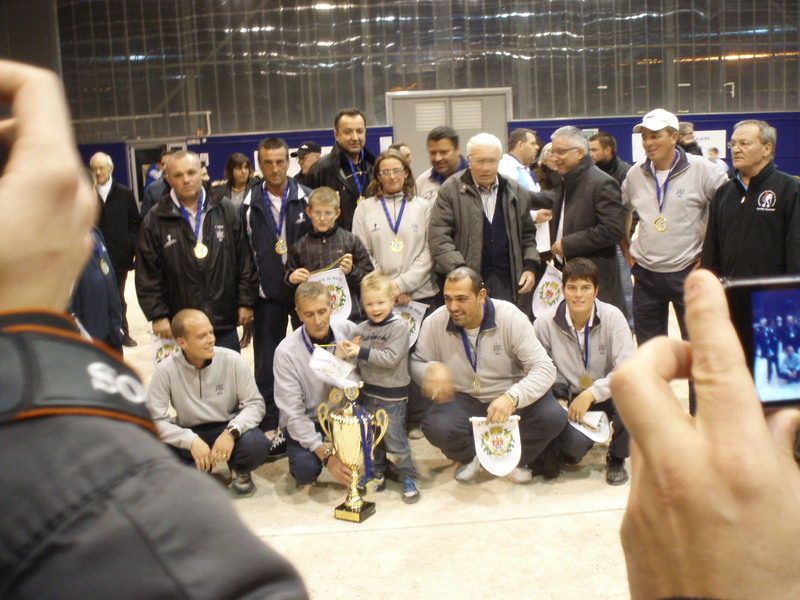 Our luck continued the following year as the final was once again held in Nice – the venue being that of the previous year’s winning team. This time we were better prepared and arrived in time to have a very good meal at a restaurant over the road from the boulodrome. On this occasion Pascal Milei wasn’t playing and his place was taken by Ludovic Montoro, son of le Duc’s coach Alain Montoro. The crowd being mostly from Nice were vociferous in their support and I loved hearing the woman next to me shouted “Allez Fi-Fi” whenever Philippe Suchaud was about to play.The whole team played well. It was great to see Quintais pointing and shooting superbly – including shooting the jack on several occasions – and to know that Le Duc were the winners again!